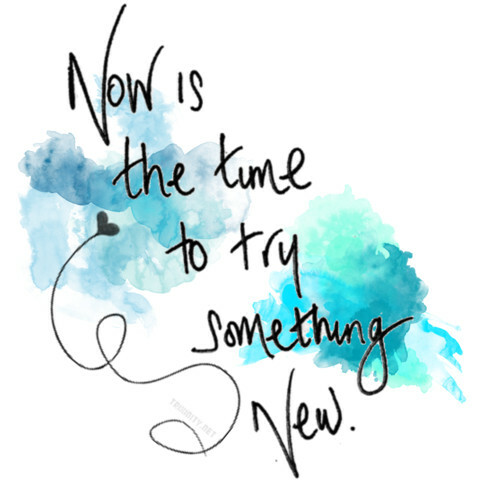 Sometimes I see new things I want to try…tennis…bridge…fishing…sailing. Other times I yearn to just stay in my comfort zone…play the piano…eat at restaurants “where everybody knows your name”…visit the same towns on vacations. And often, I remember things I used to do that gave me pleasure…playing guitar…songwriting…dead reckoning rally navigation (I’ll explain this last one in due time). These are activities and places that used to be in my comfort zone, and they might represent a third tine on that fork between what’s comfortable and what will help us grow. 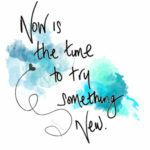 I have always taken great pleasure in trying new things, seeing new places, making new friends. I easily “trust in the Force” when it comes to working without a net. And I also enjoy relaxing in the comfort zone of the things I’m already familiar with that bring me joy. For instance, I recently added a room to my home that’s totally devoted to my comfort zone. Wood-burning fireplace. Old-style woodwork. Man cave in the basement with 45 years of rally trophies and memorabilia. Old-school nesting. Hence the dilemma. The longer I’m on this planet, the bigger the pool of “old things” gets, sometimes taking up the resources I could be using to try new things. So here I am at the “fork in the road.” Do I fall back and do what’s comfortable? Or do I step off the cliff and pursue new directions? My own teachings prompt my belief that growth can’t happen when I keep reverting to my “comfort zone”…yet wallowing in memorabilia and familiarity gives me joy. There really can’t be two more polar-opposite positions. I get joy from learning almost anything new—and I get joy from reliving and continuing to do the things with which I’ve grown comfortable. What do I want more? To feel good? Or to grow? Isn’t this the age-old question? Aren’t we at this fork in the road all the time? Every month. Every day. Perhaps moment to moment. So here’s my cop-out (we’ve all designed workarounds!). What about all the things I used to do that gave me joy that had to go by the wayside while I learned new stuff? Skills, locations, and activities I once enjoyed that I might be able to revisit? Most of you readers know I am a co-driver on a performance rally team. That means I coach the driver of our race car regarding what’s ahead on the road (whether he can see it or not) and help him stretch his abilities so that he (and consequently we) can grow and become more successful. I both drove and co-drove in the ’70s and ’80s, then I took time out to raise my girls. It didn’t make sense to risk my life a half dozen times a year when I was needed on the home front. 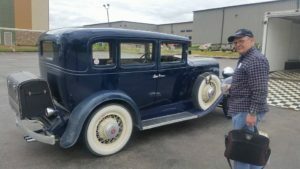 During that hiatus I found the antique car rally known as the Great Race…antique cars running precision timing for 14 days and 4,000 miles coast to coast. It wasn’t as risky and still threw challenges at me on a regular basis. The “navigator” in this type of rally is responsible for keeping his car exactly on time and on course every second of every day. It’s called “dead reckoning” because we’re not allowed to have an odometer in our car; it’s all done by speedometer and the time on the clock. The only way we know how far we’ve gone is by translating the time we traveled at the speed we traveled (one minute at 30 mph is half a mile). Back in the 1990s, I was good at this. Then the racing bug bit me and I left Great Race events behind. Recently, I got a call from one my old Great Race mechanics. He has a beautiful 1932 REO Flying Cloud and wants to run a Great Race–style rally next month. He asked if I’d help, so we went to work learning the car. It’s like picking up the guitar. I’m rusty. I forget everything! It’s almost like starting something new…yet it’s different. It’s starting something new at which I already know I can be successful. Can’t lose. Does this count as “something new”? I don’t think so, but I’ll let you know next month. Wish us luck. Meanwhile, notice opportunities to either stay in your comfort zone or charge off and learn something new. Count them. I believe you’ll find they happen more often than you think. And consider this—what if that fork in the road has three tines?